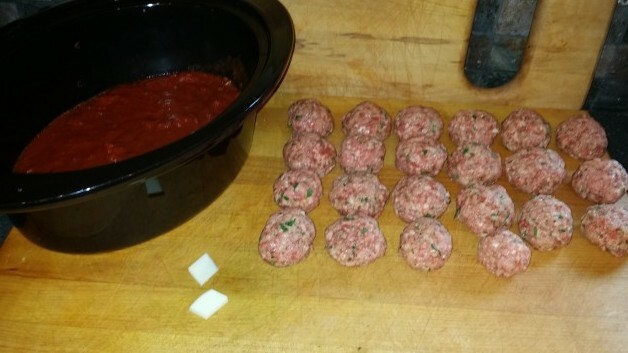 Making Meatballs – How Did I Do? You all know I love to cook and entertain. When I saw this video, I about lost my mind and knew I had to try this recipe. 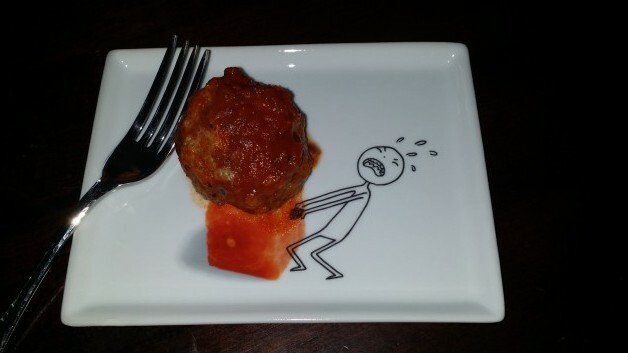 I bet some of you have seen this meatball stuffed with mozzarella video, too, right? Here’s what my meatballs looked like before adding them to the sauce in the crockpot. And here’s what they looked like all cooked and ready to gobble down. 1. Make bigger meatballs so you can stuff a bigger piece of cheese inside. For some reason, I thought I counted 22 meatballs in the video. Math is not my strong suit. My cubes of mozzarella were small and totally disappeared in the meatball. NONE of the meatballs had that cheesy center I was hoping for. Next time: Make 15 big meatballs with a much bigger cube of cheese. Heck, slather them all with a thick layer of mozzarella cheese. You can never have enough cheese. 2. Brown the meatballs before placing in the crockpot. I know this rule, but got lazy and thought they would be just as good. Nay nay my darlings. The sear really adds to the flavor, so I will be taking this extra step next time. 3. Make your own sauce. DO NOT USE JARRED SAUCE. This probably goes without saying, but I’m saying it anyhow. I make mine with an entire bottle of red wine. Do not judge me. 4. Don’t use almond milk in place of whole milk in meatballs. I thought this substitution would work. It did not. I think it contributed to much tougher meatballs than I would have preferred. 5. After making the meatballs, put them in the fridge overnight and then reheat. Why? They get greasy and after a nap in the fridge, you can skim all that fat off and have nothing but meat and sauce. Verdict: I would definitely make these again, but with the above tweaks. What a fab way to feed a crowd. Eric and I made spaghetti with this and each had 3 meatballs, which left us with a ton of meatballs and sauce leftover that went straight to the freezer for a busy night. I don’t know about you, but November is going to be crazy busy around here! Posted in atlanta, Autumn, cooking, dinner, Dinner Party Ideas, entertaining, Entree | Comments Off on Making Meatballs – How Did I Do?